This is my latest combination of colors for weddings, lovely Honey yellow and Cranberry red. If you want to break the color add a dash of blue as an accent color. This is Arctic blue. Many would not combine these colors but I love the combination; it’s just so different. What a color for 2015! I absolutely love this color, Marsala. 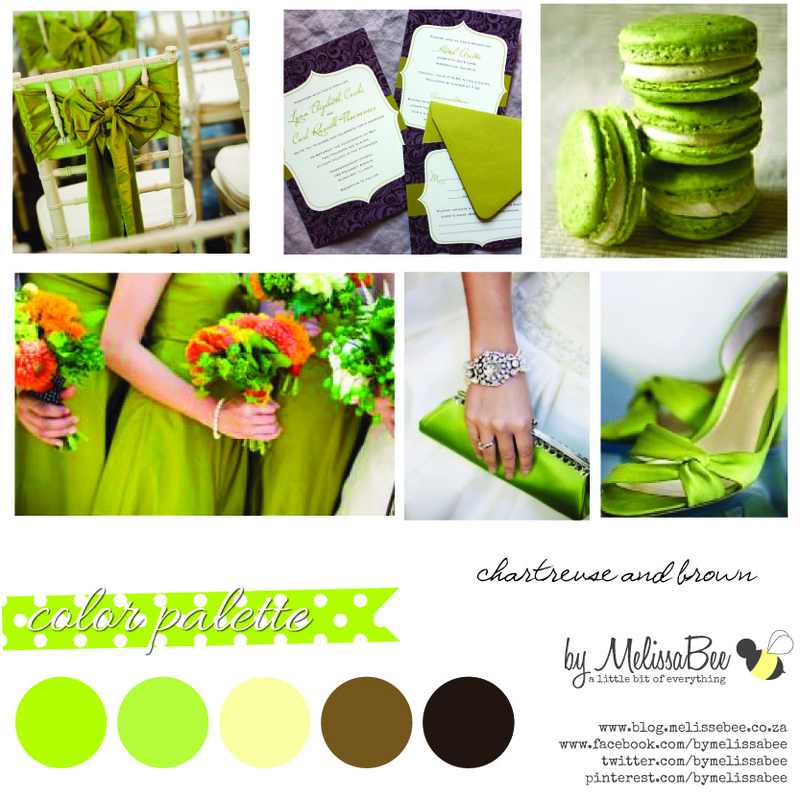 This would be great as an autumn color wedding but I think it would be great as a summer wedding color as well. 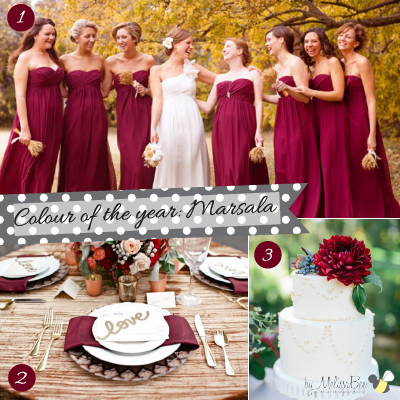 Marsala paired with grey or even cream would be just as gorgeous. Have a look at images below to get your creativity going. I love this because of the pretty pastel tints. I only used the dress, because it think this one is pretty enough as is. Today’s wedding inspiration: Grey and Pink. It is so soft and feminine and would be so good to transform into a vintage wedding theme. I just love this color combination of grey and pink or silver and grey.